Beforehand, the group spoke to media about how they believe the Trans Mountain pipeline expansion will harm their culture, treaty rights and way of life. Marie Zackuse, the chairwoman of Tulalip Tribes, talked about how the border is a colonial construct and how communities in the U.S. and Canada have intermixed blood lines. “The salmon knows no border, the killer whale knows no border and certainly the Salish Sea does not stop at the border,” she said. Lisa Wilson, who works for Lummi Nation’s natural resource department, spoke about how devastating it was for all the Coast Salish nations when an orca calf died last August. The mother, a whale known as J-35, pushed her baby’s lifeless body for two weeks through waters on both sides of the Canada-U.S. border in an apparent display of mourning. “We saw the mother carrying her baby for 17 days, and it was devastating,” she said. A task force from Lummi Nation also attempted to take action when another orca, four-year-old J-50 (also known as Scarlet), starved to death September. “We took up an effort to literally feed Scarlet,” Wilson said. 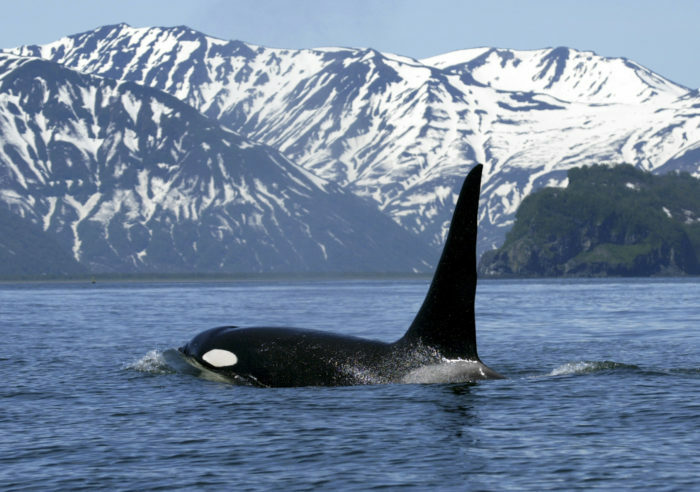 Wilson pointed out that if salmon are not healthy, and the orcas are not healthy, then the people are not healthy either. Tandy Wilbur of Swinomish Tribe told the NEB that his people’s way of life can no longer be pushed to the wayside. “Your decision has big impacts on tribal lives, tribal culture, traditions, spiritual,” he said.